With the dismissal of coach Mike Stoops, some of the posts I wanted to prepare probably aren’t as relevant. But one thing that remains a problem is the defensive backs play. There are multiple issues I can point to. One of the most obvious is their inability to lean and locate the ball on deep routes. This has been a persistent problem. And I really don’t care what anyone tells me that OU is teaching their players 1) if they’re coaching lean and locate, it’s not working and 2) let’s be real…they’re not teaching them to lean and locate. At this point, it’s become obvious that they’re teaching the guys to just go through the receivers hands and face guard. The secondary did it all day against Texas and Texas outside receivers aren’t even burners. If they’re going through the hands against Texas, that’s what they’re being taught because if you can’t turn on Texas outside wide receivers then what do you do against Jalen Reagor? This is college, 5’10 and 5’11 DBs are fine. But the most egregious issue has to be the poor situational awareness. Last week, I mentioned an example where it was 3rd and 6ish and the cornerback was taxiing out. Any high school cornerback knows that 3rd and 6 going to the sticks. You don’t want to be rushing out of there in your backpedal. Depending on the technique you’re taught, you want to slow your pedal or keep your feet hot and be ready to break on a stop route. Basic stuff. This past weekend we saw another example of situational awareness issues. We’d see a two by two (two wide receivers on one side and two on the other) wide split. If you know nothing else as a defensive back you have to know that in that alignment on 3rd and 3 you CANNOT let your man inside you. But it happened against Texas at least twice that I recall and may have happened more than that. Jim Leavitt Note | A Name to Know or a Name to Cross Off? Many of you will recall that a few years back I wrote an article titled, “Making the Case for Jim Leavitt” where I argued that the Sooners should hire defensive coordinator, Jim Leavitt. Leavitt is a long time friend of the Stoops’ brothers. He coached with Bob at Kansas State back in the 90s and they managed to turn an abysmal defense into one of the best in the country. I’ve always been a proponent of hiring coaches who have shown success at multiple stops. Leavitt has done that. He built the South Florida program, coached in the NFL, helped turn things around at Colorado and is now the DC at Oregon. But as many of you know Leavitt was forced out at USF due to an incident involving an altercation with a player. Last night, when we got word that Mike was released, one of the first things that came to mind was where Lincoln would turn to make a permanent hire. And my first thought was that he will turn to Bob Stoops for a recommendation. I was chatting with a friend of mine who is inside the building at Oregon and has worked with Leavitt and knows his background and we both agreed that Bob’s likely recommendation to Lincoln would be Jim Leavitt. But, here’s where it gets interesting. After that conversation, I spoke with a source close to the OU program who told me something I had never heard before. That, in fact, a few years ago Bob Stoops attempted to hire Jim Leavitt and the OU administration prohibited it citing the USF incident. Since then, he’s coached at two college programs so the administration view on things might have changed but the source was adamant that Stoops did indeed want to make that hire, previously, and was unable to. ***As you know, last week I was in Florida to see a number of OU targets. I did speak with 2019 Ohio State DB commit, Jordan Battle (St. Thomas Aquinas – Fort Lauderdale) after their game against Deerfield. Sooners are in this one. I’ll post my full notes, later. A couple quick notes though from other St. Thomas Aquinas guys that I want to mention here are related to 2020 4-star LB, Derek Wingo and 2020 4-star offensive tackle, Marcus Dumervil. When I saw Wingo this past summer, he told me he planned on visiting Oklahoma. He reiterated that last Friday. Said he’s in regular communication with the staff and said he will be out to Norman for a game this season or just after the season. Either way, he was adamant that he plans on making it out there. Ohio State appears to be an early leader in this one. 2020 4-Star LB, Derek Wingo is used all over the front. Pressures from various angles & slips through creases like a ghost then shows off closing speed. Marcus Dumervil told me that he hears from coach Bedenbaugh multiple times per week and said that he will also make it out to Norman but said it may not happen until the spring rolls around. Between Deerfield and St. Thomas Aquinas, there were so many players that I didn’t get a chance to really watch much of Dumervil but as I noted in the tweet below, he looks college ready. Great frame, not sloppy at all and OT length. #Sooners continue to make South Florida a priority. Saw OU 2020 OL target, Marcus Dumervil in person last week. Already built like a college lineman. 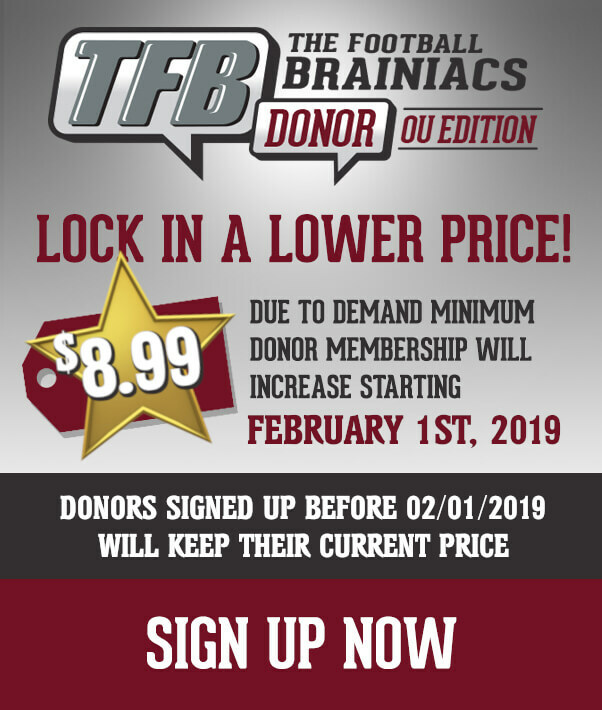 ***A peculiar thing is that in the 2019 class the Sooners have had a bit of a harder time recruiting running backs (although, as I mentioned, speaking to Kenny McIntosh in person last week made it very clear that the Sooners are in it and quite possibly the leader). But in the 2020 class, every running back seems interested in Oklahoma. They have two monsters already committed in Jaylan Knighton (Deerfield, FL) and Jace McClellan (Aledo). I was recently told that the Sooners also lead for Seth McGowan (Mesquite Poteet). And, as you all know, we’ve spoken with 5-star running back Kendall Milton out of Fresno, California and he called Chip Viney “close family” and plans on visiting OU. As I side note, I’ll be out in Fresno tomorrow to see Milton in person. But the guy who I was certain OU didn’t really have much of a shot with was 5-star running back, Zach Evans (North Shore, TX). Sure he’s visited Oklahoma but when I’d speak with him or his brothers, I always got the sense that it was a TAMU vs. Texas battle with TAMU holding a slight lead. – He watches OU play on television a lot more than he watches, even Texas. – He plans on getting up to OU for a return visit, soon. His brother had mentioned this to me a few weeks back, so this isn’t a huge surprise but again, I just didn’t read a ton of interest. Now, it sounds like they are very serious about making it up to OU, when they’re able. A few clips of Zach Evans (@Runzekerun01) in last night’s North Shore scrimmage. – Finally, and this one was the most surprising. He said he wants to play with Kendall Milton. I asked Zach about the Sooners and this past weekend, “They stand good with me. I expect them to execute more but things happen when you get complacent”. On the Mike Stoops firing he added, “Sometimes it ain’t the coaches, it’s the players”. How OU manages their 2020 running back recruitment is going to be interesting. Everyone of the RBs mentioned above are excellent excellent players. ***Last night, I spoke with 2020 DE/OLB, Prince Dorbah who by the way predicted Texas would win by three. I’ll have a full write up on him, as well. But early on it sounds like OU, Texas and Oklahoma State are the teams to beat. Dorbah told me that coach Riley has been in touch with him since the game. 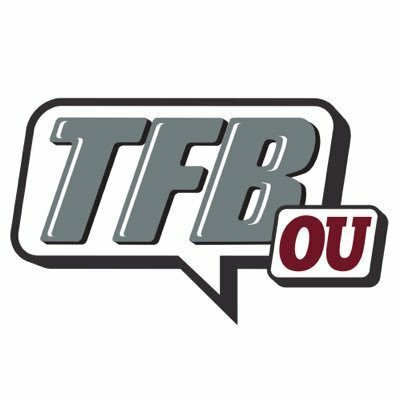 Mike Stoops was the person recruiting him but he said that Cale Gundy, Thibs and Riley were also recruiting him and again, Riley, has been in touch with him recently. If you would like to read Super K’s Insider Note, please click the Donor Board link! Over the past couple of practices, some interesting changes have taken place. Here are six hand picked sourced practice notes. If you would like to read all of the sourced practice notes, please click the following Donor Board Links! Monday sourced practice notes. & Tuesday sourced practice notes. Spoke to sources. Was told of some immediate changes that were made. I’d assume they’ll continue to tinker with this. ***Tre Brown replaced Parnell Motley as the starting cornerback. So, based on today, Brown and Norwood are with the 1s. ***In the nickel package the ones are now Jordan Parker, Bookie and Robert Barnes. Bookie goes to nickel. ***I’m told they did move to the even front (4-man). The defensive lineman that was inserted in was Ronnie Perkins at defensive end. ***Also, am told that Caleb Kelly is mulling over the idea of redshirting but I’d imagine that is just some initial thoughts as he processes the changes. If that happens, don’t be surprised to see Draper come off scout team. *** Source said it was the highest energy and one of the most efficient practices the defense has had all year. Source added, “you can tell people want to play for him (Ruffin)”. *** Told there was a major emphasis on tacking both days. Again, bigger emphasis than it’s been in the past.